PRIORITIZE YOURSELF WITH NATURAL (NON-FORTIFIED) OVER SYNTHETIC. 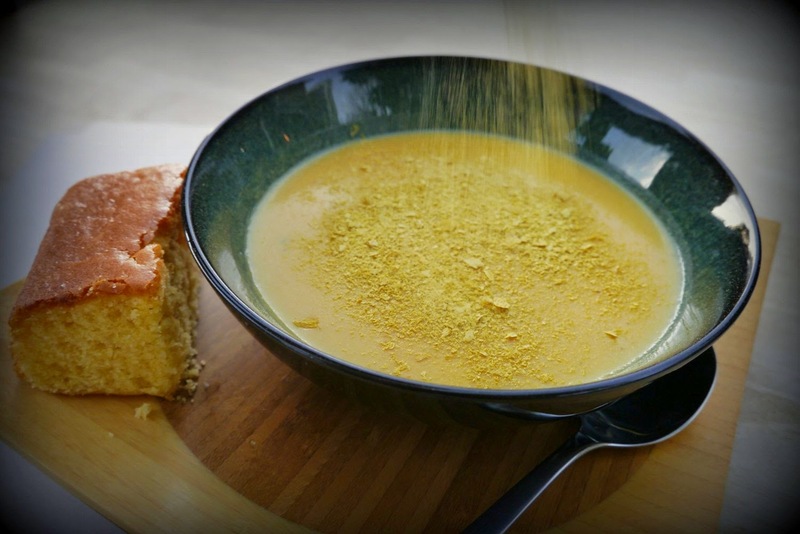 The reality is that most nutritional yeast products are fortified with synthetic, man-made vitamins that can be harmful to your health. 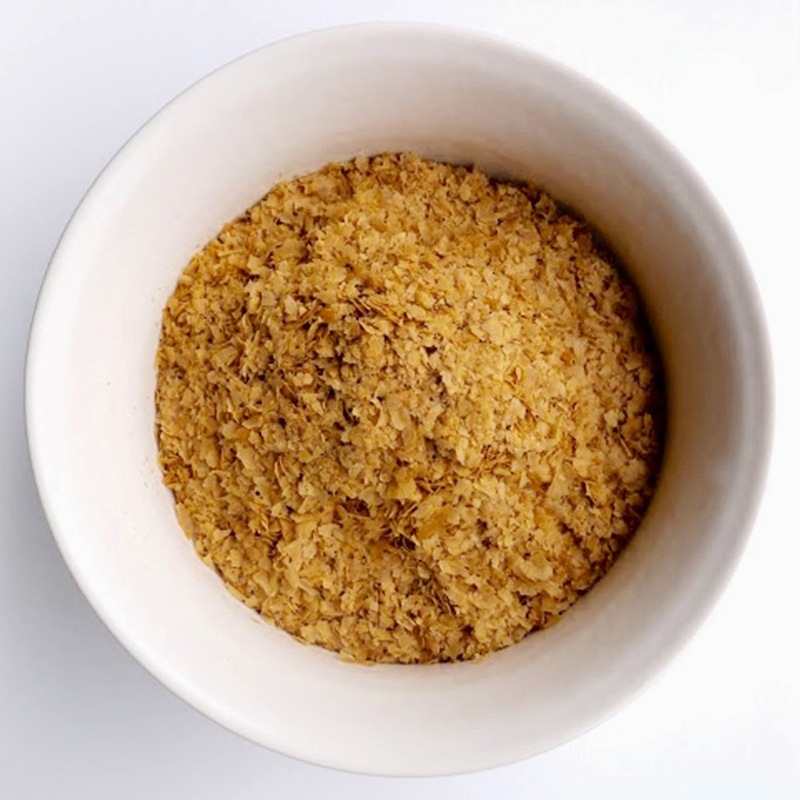 At Sari Foods, this goes against everything we stand for - so we decided to change things, making a nutritional yeast product that is 100% whole food based and naturally occurring - nothing synthetic here - just as nature intended! OPTIMIZE YOUR HEALTH WITH SUPER NUTRIENTS. 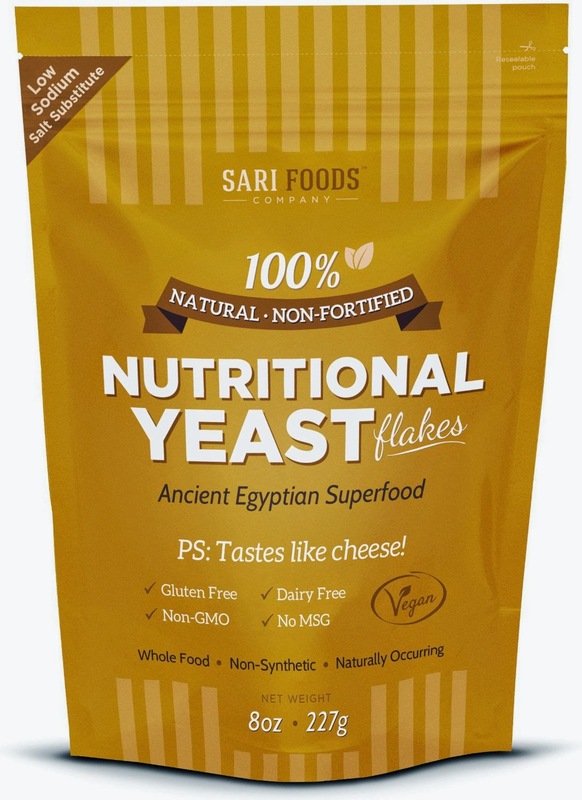 Sari Foods Nutritional Yeast is naturally comprised of 50% protein (a complete, bioavailable and vegan source), over 20% fiber, contains all 18 amino acids and 15 different minerals (including iron, selenium and zinc) as well as a natural vitamin B-complex and Beta-glucans (known for their extreme immune enhancing properties plus their ability to lower bad cholesterol). LOSE WEIGHT NATURALLY. Enjoy guilt-free deliciousness with this salty, creamy, nutty, cheese-tasting superfood that can be sprinkled on just about everything and is bound to become your secret weapon in weight loss! In addition to being extremely low in calories, fat and sodium, it is dairy free, gluten free, MSG free and chocked full of vitamins, minerals, fiber and protein. 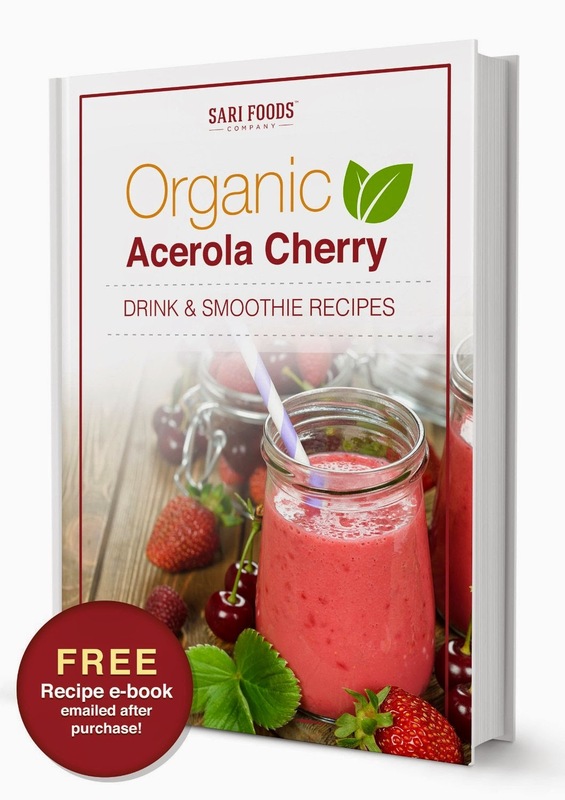 For cooking inspiration, you will receive 50+ yummy recipes via email after purchase. FIGHT AGING & FREE RADICALS. 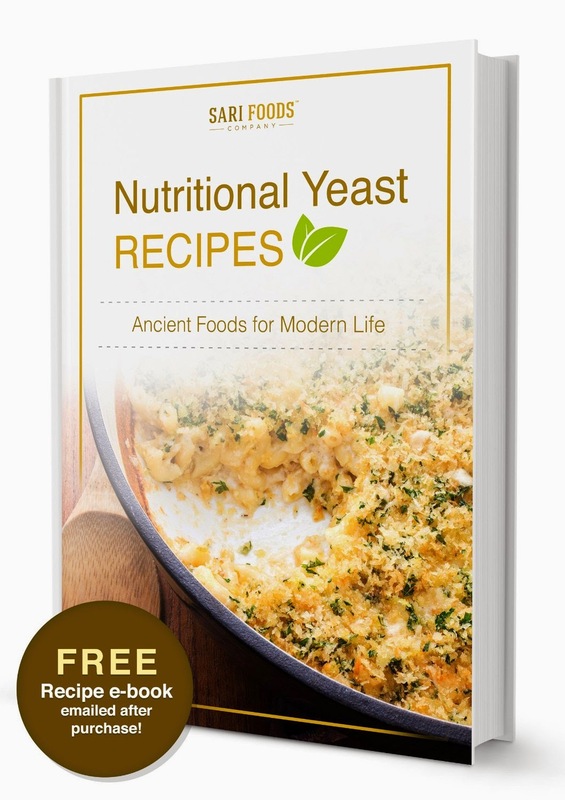 With highly absorbable amounts of nucleotides (the building blocks of DNA & RNA), Nutritional Yeast promotes cellular repair and regeneration. 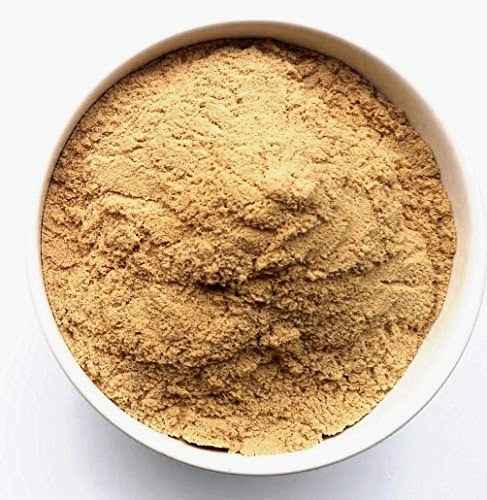 Then, by combining the two antioxidants glutathione and selenium, Nutritional Yeast Flakes create a special enzyme called glutathione peroxidase that is known to neutralize free radicals and help protect us from their damage. END YOUR ENERGY CRISIS. 15-40% of Americans are deficient in B vitamins which can lead to deep and ongoing fatigue, brain fog, irritability, depression, and even insomnia (as they play a crucial role in melatonin production). The body depends on B6 to make the hormones serotonin and norepinephrine, which affect both mood and feelings of happiness. Improved Vitamin B intake helps us sleep well and helps balance our hormones and increase our energy levels, clarity & overall mental function. OPTIMIZE YOUR HEALTH WITH NATURE'S MOST PERFECT MULTIVITAMIN. 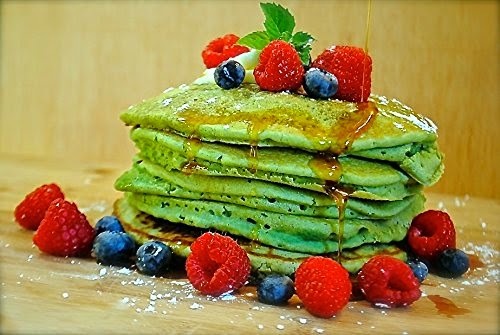 With over 100 naturally occurring and bioavailable vitamins & nutrients, Sari Foods Spirulina contains more than 60% protein and is a non-synthetic source of iron, calcium, magnesium, selenium, beta-carotine, B12, chlorophyll, phytonutrients, antioxidants and essential amino acids (GLA, Omega 3, 6 & 9s). STRENGTHEN YOUR IMMUNE SYSTEM. 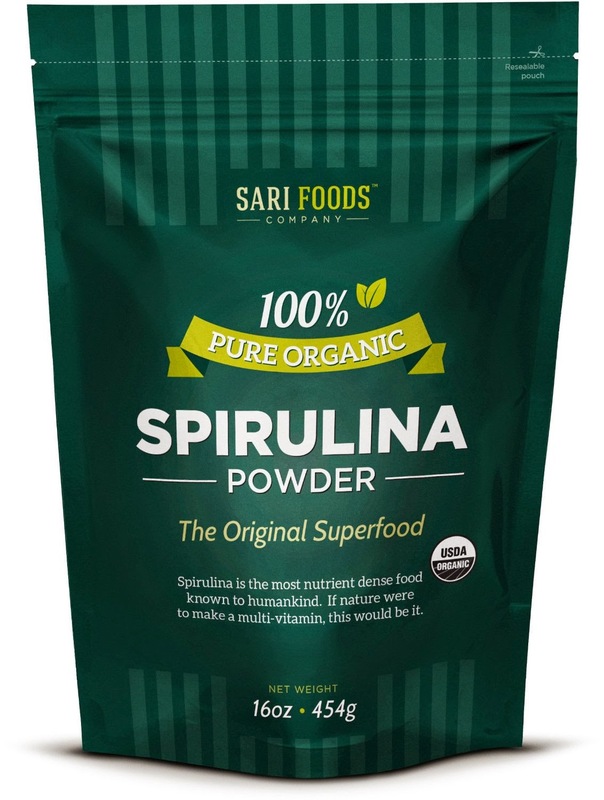 Organic Spirulina is the most nutrient dense food known to humankind and works miracles in the body by helping to balance your pH and reduce Inflammation - which is the root of most disease. This nutritional content is immuno-amazing! 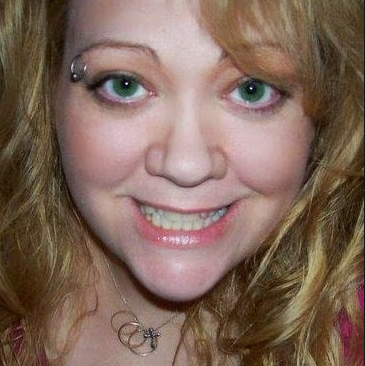 FIGHT AGING & FREE RADICALS. 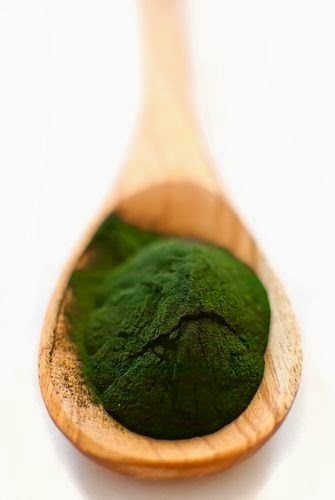 This miracle from the sea has more antioxidant activity than 5 servings of fruits and vegetables and 3900% more beta carotene than carrots, packing a powerful antioxidant punch that promotes skin health and cell regeneration while providing protection from cell-damaging molecules absorbed by the body through pollution, poor diet, injury, or stress. IMPROVE ENERGY, MOOD & METABOLISM. 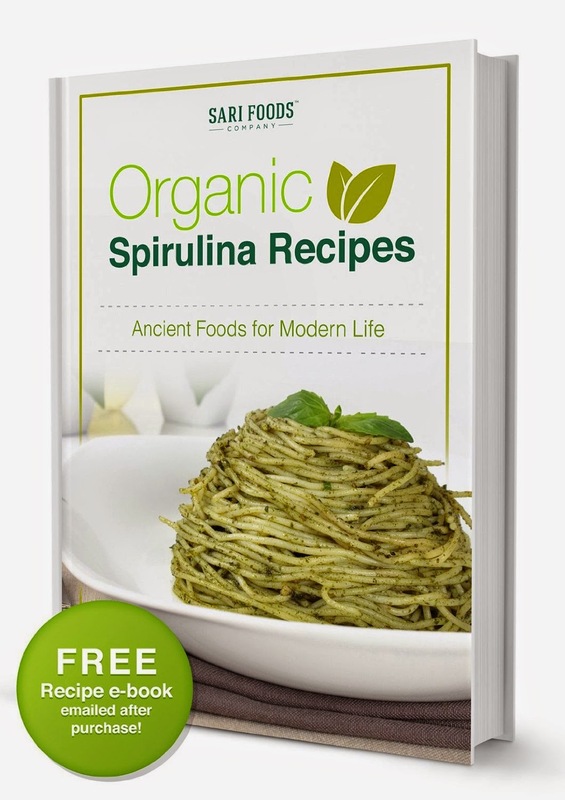 Organic Spirulina elevates your energy by unlocking sugar from your cells so it does not get stored as fat. 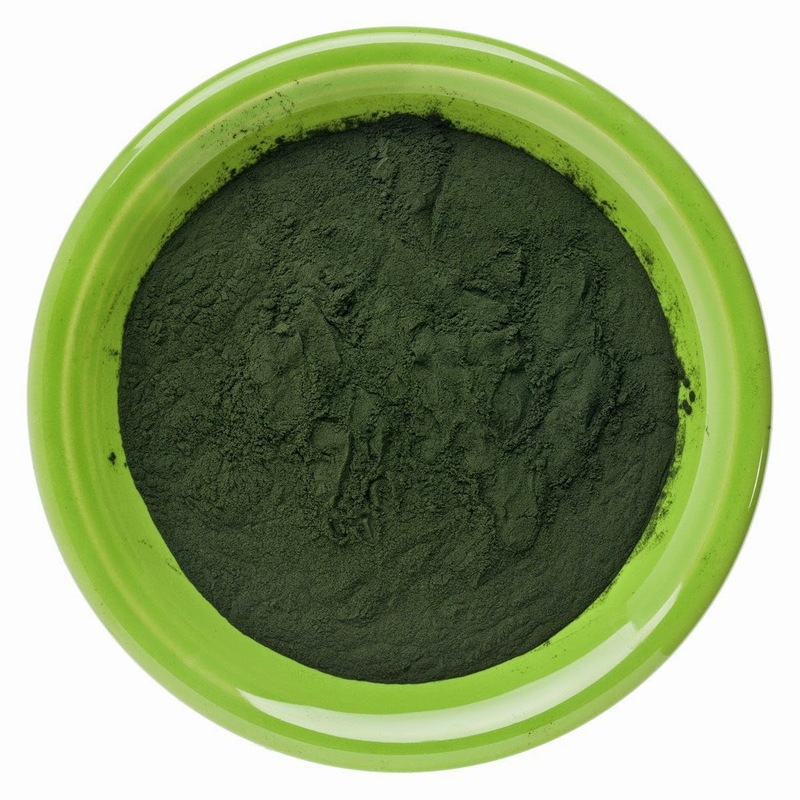 The deep green color of Spirulina comes from a high concentration of Chlorophyll which absorbs its pure energy from sunlight and is considered nature's most effective energy booster, giving you instant and all-day energy. PRIORITIZE LONG TERM HEALTH WITH NATURAL OVER SYNTHETIC. Many Vitamin C supplements (like ascorbic acid and calcium ascorbate) contain isolated and/or synthetic vitamin C that is highly toxic and may cause you more harm than good. 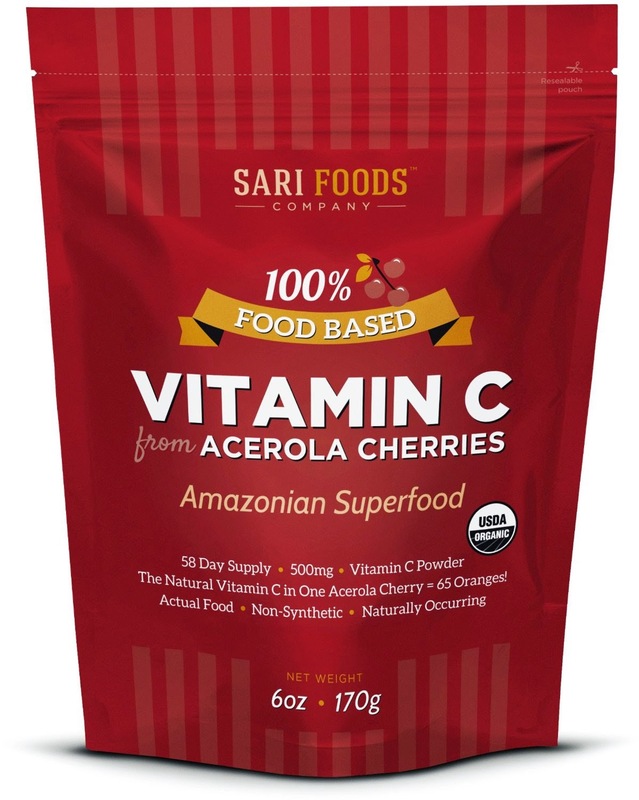 Sari Foods 100% food based vitamin C is nature's complete complex, providing you with all of the benefits of this miracle vitamin without compromising your body or health. And rest assured, our Vitamin C powder is also organic! REDUCE THE SEVERITY & DURATION OF COLDS. Natural Vitamin C is the missing piece of the puzzle to your body's immune system, offering protection against colds and reducing the threat of nearly every virus known to man. 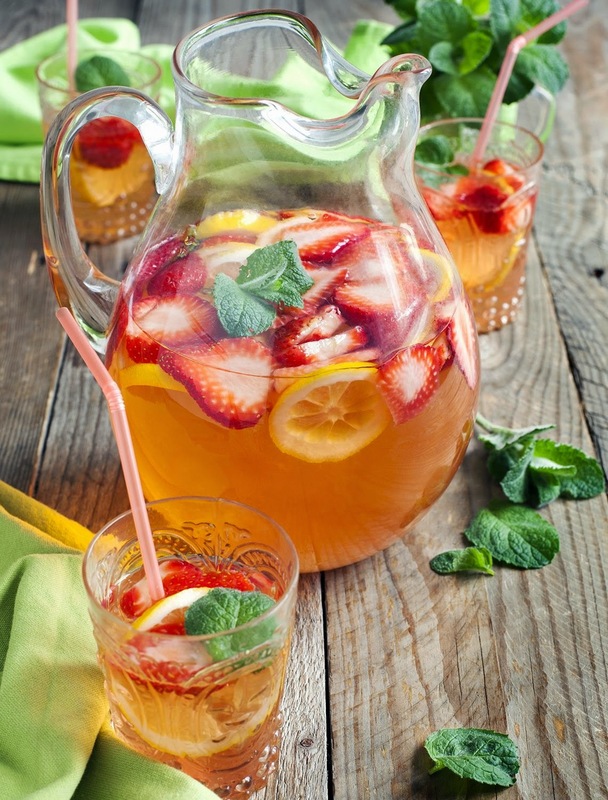 Vitamin C is also a natural antihistamine which means it even helps keep allergies, asthma and inflammation in check! PROTECT YOURSELF. With extreme antioxidant activity, Organic Vitamin C fights free radicals, protecting you from the cell-damaging molecules absorbed by the body through pollution, poor diet, injury, or stress. Sufficient levels of vitamin C are also required for the synthesis of stress hormones (like adrenaline), which plays a crucial role in countering the ill effects of stress. GUARD AGAINST DISEASE. Since our body doesn't produce it, natural Vitamin C is the most important vitamin you can consume for optimal health as it is shown to help reduce many degenerative conditions. I was happy to get to try this 3 pack of Spirulina, Acerola Vitamin C and Nutritional Yeast. Since I have never used these products before I decided to look at the recipes and also do some experimenting with the foods my family already eats. I found that added these to soups, beverages, smoothies, protein shakes, yogurt and almost anything works very well. 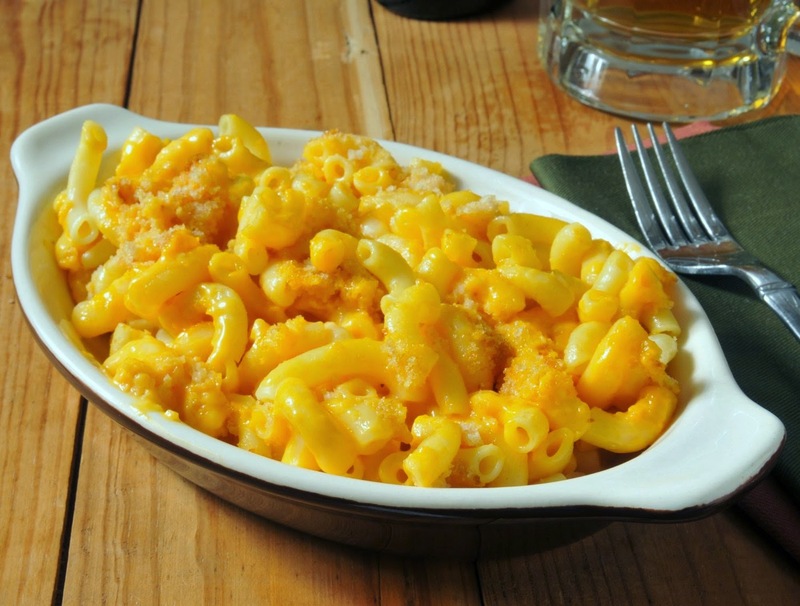 I found the nutritional yeast works best in macaroni and cheese and other cheesy dishes. 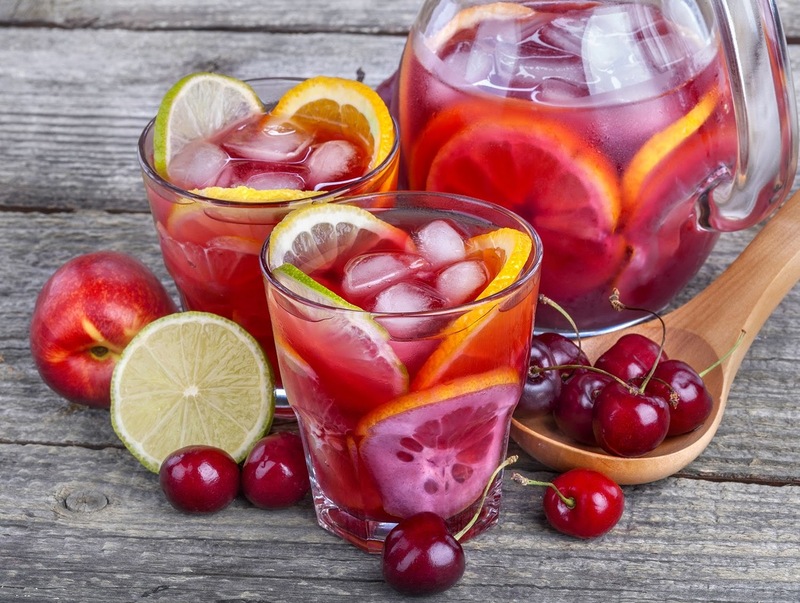 The Vitamin C worked best in beverages, yogurt, smoothies etc. 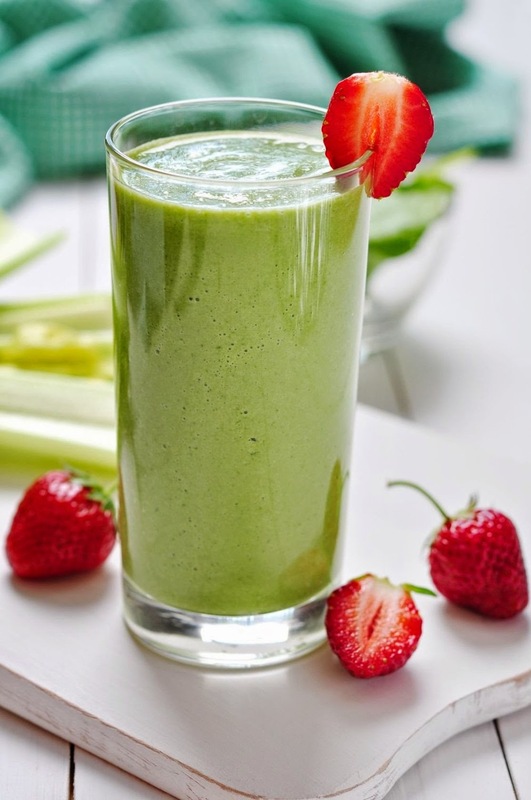 I found the Spirulina worked best in our morning smoothies! I love these super foods, they are so easy to incorporate in your diet and there are countless benefits. I recommend trying them and experiment for yourself!